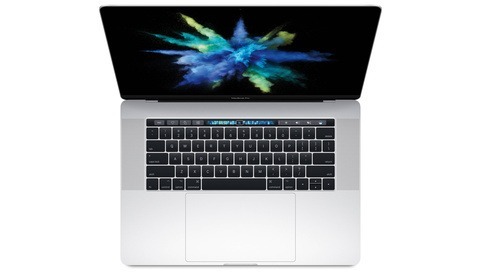 Video of EVERY 2018 15&quot; MacBook Pro compared for Video Editing! Whether you use Final Cut Pro, Premiere, or Resolve, video editing is most likely the most intensive use of your machine's graphics card, CPU, and RAM. This video gives a comparison between the machines when benchmarked and tested in various situations. Max Yuryev is known for publishing videos where he tests the latest gear, whether it's cameras or Macs. 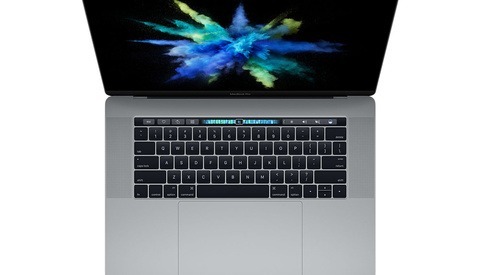 The 2018 MacBook Pros were released recently, and there were several issues with regards to over-heating and the machines using less of the GPU and CPU to reduce the thermal build up inside the casing. Apple fixed it by releasing a patch update, but it's quite strange to think the largest tech company in the world, with a trillion dollar market cap, didn't do sufficient testing. When it comes to pro gear, testing is one of the most important parts of the development, and they should be doing more than what's needed before releasing it to its massive user base. It's for professionals. It should just work, or that's what Apple used to say. There has been a backlash on most social networks, but it seems as if the patch they released with an update fixed the thermal issues. 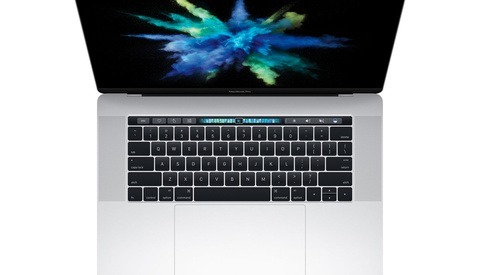 Final Cut Pro renders quicker in most instances, but there is almost no difference in time when comparing the three different Macs Yuryev tested. It's an Apple-developed application and workflow, so it's understandable for them to optimize the application to run as smoothly as possible. Adobe Premiere Pro is the laggard here, and there is no comparison when it comes to render times. It's a known fact that Adobe's video editing software takes longer, with all three the machines, which again, render at roughly the same speeds. Resolve is almost rendering at the same speeds as Final Cut across the board, which is quite impressive. I usually go for the top spec machine. But in this instance, I tend to agree with Yuryev on what machine is best for video editing, especially if you're doing so on Premiere Pro like I do. The 2.2 GHz clock speed with the i7 six-core processor, 32 GBs of RAM, and the AMD Radeon Pro 560X GPU will do nicely. I always find this stuff humorous, are people really editing video on laptops? What a weird thing to shame people for. You know it's not uncommon. I'm not trying to shame people, but if you were editing any volume of video why would you not be on a dedicated workstation suited to the task. Why is it shame? He’s prob speaking from experience. In the broadcast film world nobody is cutting on laptops. It’s not even an option given the ports that are required for a pro suite. Youtubers sure, wedding guys ya, but editing has many tiers and he’s not wrong. Nor is it shaming. Yeah post houses, broadcasters and production companies are using workstations. Couldn't imagine anybody getting work done without them! Plenty of Preditors need to have a laptop to cut down, transcode and export packages ready for a final edit back at base. Certain reality TV shows needs this for a tight turn around, since the producers/camera ops on set already know what's going to make the cut. In fact if I've been cutting on a MacBook Pro for a couple weeks/months, I'll find it hard to get back to a desktop. I've once put an iMac into Target Display mode so I could use my laptop to cut on a larger screen. Yes they do. Have been doing this for a long time. Right now I am for months away from home and I could not bring my iMac. And I just remember. I was doing a VFX compositing job for a tv movie on my laptop partly. Mainly because I was on the road. cool thanks for the response. I've never really known a pro editor who likes to do the bulk of their editing on a laptop. Assemblies yes, but the actual get your hands dirty work the scenes to dealth (frame FKING) is done in the suite. I've never liked cutting on laptops despite the convenience, i feel like my best work needs a comfortable setting from which to do the work. What planet do you live on? It's now the norm. And it will become the norm even more as powerful tech shrinks in volume. It’s the norm where? On youtube maybe. Also the norm is avid media composer, but youtubers don’t use it. Traditional film and tv editing are all done on desktops. They’re almost all cut on Media Composer as well. Not only do desktops have better components needed to cut higher quality footage, but they have the ports essential for the monitors that go hand in hand with it. So depending on your editing perspective laptops can be completely irrelevant as a post production workhorse. I work in it, we don’t use laptops. But to add to that, most certainly don’t use FCPX. Smaller doesn’t always mean better, especially in a pro environment. Nobody doubts that a desktop is much more capable. But when you're on the road you cannot always bring your big machine. And although I agree with you that most postproduction houses work on desktops (and AVID) I know a few editors that edit movies (for cinema) on their laptops because they start to edit in the hotelroom while the film is still being shot. So the director can make changes to the shooting schedule as long as it is possible and not too cost intensive. I never got in FCPX because I hate the whole "library" thing (but I hate it with any app). I directed a commercials for a few years and on those it was rather standard to have a mobile editing workstation on set to see if everything fits. Editing was done on Avid or FCPX. So I guess it depends what you do. And what you define as norm. And for youtubers are a new niche which established its own norms. And to them it might be relevant. I agree with that, also with films being cut on laptops. I would categorize that as assembly though and it's more to do with showing the director the coverage or scenes are working so they can do pickups if need be. The actual massive amounts of work are done back in a proper suite. I've done both, on set rough assemblies for directors, but most of that gets completely blown away when we sit down to actually start CUTTING principle photography. Agreed its' made it easier to do this and shouldn't be overlooked as a tool for that.